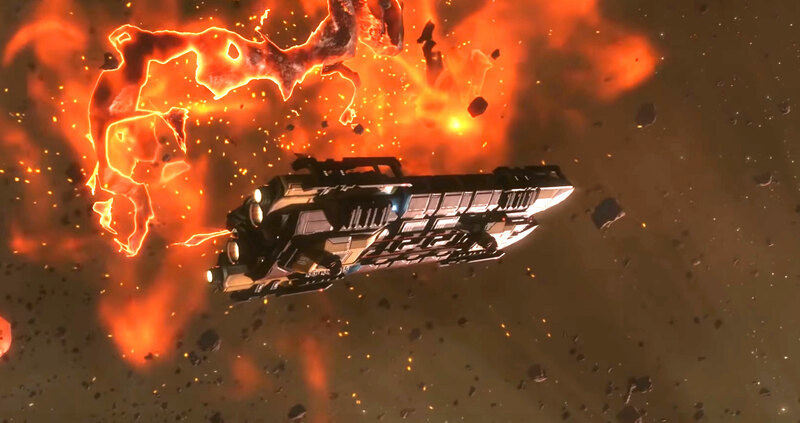 EVE Pulse warps into the new year with the first episode of 2019, looking at all things EVE Online. The EVE World Tour, starting with Evesterdam and EVE North, is featured! There’s also a look back at the Aurora image contest, plus info on an exciting new competition. Lavacore Imperial SKINs, the war on botting and more are featured this episode. What i don’t realize is actually how you are now not really much more neatly-preferred than you might be now. You are very intelligent. You realize thus significantly in relation to this subject, produced me in my view believe it from a lot of numerous angles. Its like women and men aren’t interested until it’s one thing to do with Girl gaga! Your personal stuffs great. At all times deal with it up! It’s actually a great and helpful piece of information. I am satisfied that you shared this useful info with us. Please stay us informed like this. Thank you for sharing. Have you ever considered about including a little bit more than just your articles? I mean, what you say is fundamental and everything. But think of if you added some great images or video clips to give your posts more, “pop”! Your content is excellent but with pics and video clips, this site could certainly be one of the most beneficial in its niche. Excellent blog! I don’t even know how I ended up right here, but I thought this put up was great. I do not realize who you are but certainly you are going to a well-known blogger for those who are not already 😉 Cheers! I’m extremely impressed along with your writing abilities and also with the format for your weblog. Is this a paid topic or did you customize it your self? Anyway stay up the nice high quality writing, it’s uncommon to peer a nice blog like this one nowadays.. I have been surfing on-line greater than 3 hours as of late, yet I by no means discovered any fascinating article like yours. It?¦s beautiful value sufficient for me. In my view, if all webmasters and bloggers made just right content as you probably did, the web might be much more useful than ever before. I do not even understand how I ended up right here, however I thought this put up was once great. I don’t know who you’re however definitely you’re going to a famous blogger when you aren’t already 😉 Cheers! I like what you guys are usually up too. Such clever work and exposure! Keep up the superb works guys I’ve added you guys to blogroll. Rattling nice design and style and fantastic articles, absolutely nothing else we need : D.
Hi! This is my 1st comment here so I just wanted to give a quick shout out and tell you I really enjoy reading through your blog posts. Can you suggest any other blogs/websites/forums that cover the same subjects? Thank you! You need to take part in a contest for one of the most useful websites online. I am going to highly recommend this website!